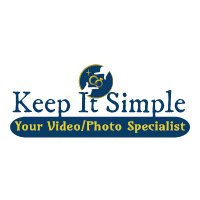 One package deal simple is the only required option you must choose in order to have the basic coverage for your wedding. All the other options are not required but you can choose any of the options below to customize your wedding package. We try to make the process simple and affordable. Taxes, transportation and shipping fee are not included here and they are based on the option you choose and your event's location. After we receive your selection, we will invoice you with the appropriate fee. We accept all major debit and credit cards, checks and money order. You can make an installment plan as long as your final payment is made one week before the wedding day. A non-refundable deposit of $ 250.00 is required to reserve your date. 6 Hrs of limited location coverage for video and photo package " Church, Park and Reception Hall "
And that is only the beginning... Also, we offer a complete line of the finest custom-designed albums at the very best value. After you pick the basic package, you can choose any option below to customize or upgrade your package before or after your wedding. 2nd cameraman (6 hours): $500 Double your coverage and number of images. Perfect for capturing your Groom's prep and an additional perspective during your special wedding moments. Extra Thank you cards ($ 75 per 25 cards increment ) Each order includes thank you cards, envelopes. Get prints in any size, up to 8x10, in your choice of color, B&W or Sepia. Up to 180 Images are individually color corrected and enhanced by a professional graphic designer for optimal viewing and printing quality. All album prices include the design fee as well as the book, prints, binding, shipping and taxes. We will print it, frame it and ship it. And FYI - All frames come with glass, and backing.